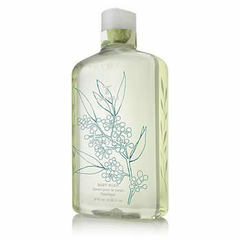 This Thymes Eucalyptus fragrance is unexpectedly fresh, with energizing notes and warmth to get your day started right. Unmistakably fresh Eucalyptus is surrounded by energizing citrus and bergamot, with undertones of greens and lemongrass. Rosewood and fir lend a down-to-earth, woody finish.